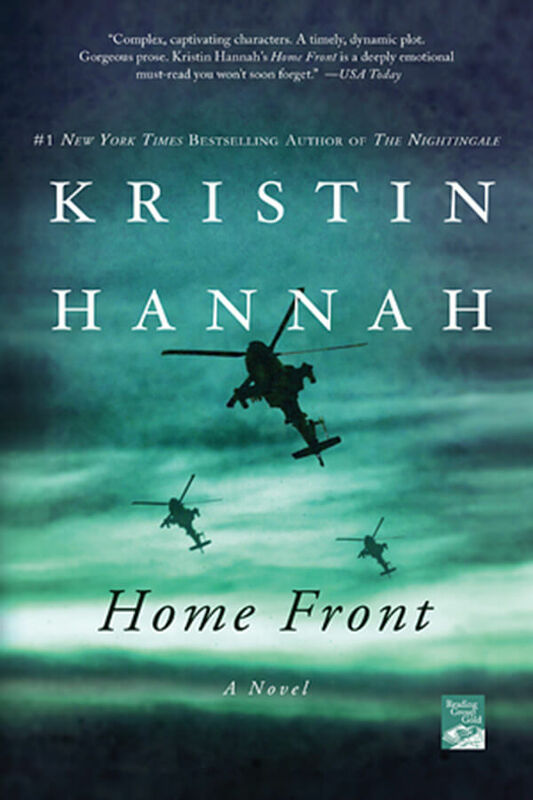 We met a Beth's home to discuss Shirley's book choice Home Front by Kristin Hannah. Present were Beth, Carla, Colette, Linda, Michèle and Shirley. Beth offered us a very nice array of hot and cold canapés along with a variety of nuts and sweets. Of course we had the usual wine, red and white and tea and coffee. Kristin Hannah is an American author and former lawyer. She has written 20 novels, Home Front and The Nightingale are the most popular. She has received several awards, especially for The Nightingale. Home Front is a timely and intimate look at the effect of a deployment on a family. 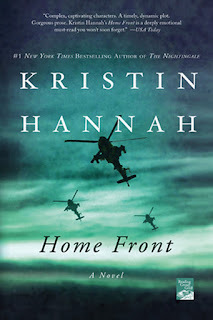 Jolene, a helicopter pilot in the Reserves is deployed to Iraq and Michael, her husband, who is a lawyer, finds himself with the responsiblity of taking care of his daughters and keeping the home going. As Jolene is about to leave, Michael expresses his doubts about their relationship. Jolene finds her deployment and work in Iraq much more challenging than she had anticipated and the uncertainty of Michael's love and commitment to their relationship weighs on her emotions. Michael begins to realize the sacrifices Jolene has made, the work she has put into their relationship and the lack of responsibility on his part in their relationship. We all found the book to be a pager turner and easy read as the writing style is very straight forward. The characters were well described and we found our feelings towards them changed as the situation changed. Life on an Iraq base was well described, the heat, the dust and sand, having to line up to call home, the line ups for showers all made the difficult life soldiers had real. The author described well the anger the characters felt, Jolene’s inablity to speak out and Michael's concentration in his work to the detriment of his family, his inability to understand what Jolene was doing and the importance of her work for her as a person and a soldier. She did a good job of describing the transition Michael went through as he found himself responsible for his children and the effect it has on his feelings towards Jolene. One of our members remembered that Tolstoy's Anna Karina begins "Happy families are all alike; every unhappy family is unhappy it its own way." It is a good description of this family and its struggles. Thank you Shirley for an interesting read.